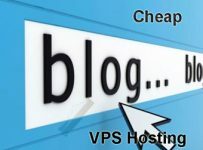 On the lookout for cheap business VPS hosting? More companies are actively creating new offers that appeal to small and medium-sized businesses. VPS is a great solution, since reliability and security are enhanced versus shared hosting. VPS hosting is a great idea for businesses because sites hosted on VPS tend to perform better than sites on shared hosting. Likewise, the high level of control you have over your VPS configuration gives you the opportunity to customize it to your exact needs. Getting high performance from VPS means finding the right price point. Many hosts have been “around the block” long enough to provide excellent service at a relatively modest price. 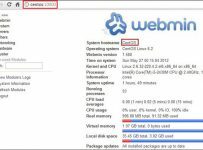 Some VPS hosts offer the chance to pay for only the RAM and disk space you use. To break away from the pack, VPS services that focus on business often provide a variety of e-commerce tools. Likewise, some might be able to migrate your site to their servers without you having to worry about handling the process manually. Interserver combines excellent performance with an outstanding price point. For a few dollars a month, you’ll get a ton of bandwidth and storage space. 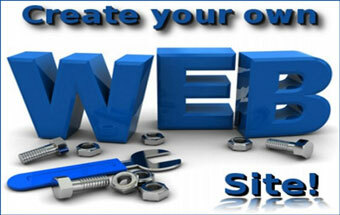 Domain registration is deeply discounted compared to competitors and you can administer multiple sites easily. Business owners appreciate the ability to use dozens of site building tools and scripts to easily develop a customized website. Unlimited email accounts allow you to empower team members with the communication options they need. Plus, the support is top notch. HostingSource is another cheap business VPS hosting company that’s been around for a long time and developed a great reputation. Business owners with exacting needs will find it is easy to customize a site and choose the version of Windows or Linux perfect for you. HostingSource provides remote access options for your VPS so you can keep your website growing even when you are out of the office. The company has won recognition for its “round the clock” support network and impressive business-class price. If speed is a major consideration for your business site, you might want to consider A2 before your other options. A2 Hosting has made a name for itself by ensuring it always has the fastest hardware, including an infrastructure based on modern SSD hard drives. To benefit from the best business-focused features of A2 Hosting, you might have to spend a few dollars more on a premium Cloud VPS service. The premium service protects your data with failover so your site is less likely to go down if there is a big spike in traffic.